I love my apartment. It is so nice and cozy. The fireplace is my all time favorite and the property is lovely. I would highly recommend the property to everyone. Thank you so much for your review, Melinda! Rough start, but now I feel well-settled. The town-houses are really comfortable with a fireplace. Krystle is always available when I had an issue, which is really pleasant. Thank you for your feedback, Liz! We are happy to have you here at Waterford Village! I love my townhome at Waterford Village. They are pet friendly and very easy to work with. The grounds are always kept clean. My only concern is the limited parking, but they have said they will be addressing that soon. Thank you for your feedback! We are definitely making improvements in needed areas including the ones you mentioned. We appreciate all honest suggestions that make us better. I really enjoy the quiet community. All of my neighbors are very friendly. Living here has made my transition to Tennessee much easier. I feel safe and it feels like home. We are happy to hear you are enjoying Tennessee! Thank you for your review! So far Waterford Village has been a quiet, friendly, and rewarding place to live. Our unit is spacious and updated. Maintenance and pest control have been amazing so far. Would recommend. Thank you for your recommendation, Paige. We value having you here at Waterford Village! I have not lived here long, but I could tell from the time I met the management and saw this property it was going to be perfect. Everyone is really friendly and the units are very nice I would refer Waterford Village to anyone! Madison, thank you so much for your kind words! We are so glad you've joined us here at Waterford Village! Thank you for your review, Melissa! We will definitely look into gym options in the future. Thank you for being here at Waterford Village! Great location and area. Tennis and basketball courts are fun to enjoy! The apartments are situated in a peaceful foresty area which is nice and relaxing. Community is great for dog walks are going on a job. We are pleased to read your review, Mason! Thank you for being a resident here at Waterford Village! Apartment is nice at a very good price. Management is excellent and gets back to the residents quickly. Maintenance is quick to respond to requests but sometimes, jobs aren’t completed properly. Waterford Village is a beautiful community that I enjoy coming home too every evening. I love the green space and the efficiency of the maintenance crew! We are thrilled to hear your feedback. Thank you! I have lived here going on 4 years. It has had ups and downs and multiple manager changes. Usually when you have a problem it gets fixed fairly quickly. These apartment has been exactly what I needed for these years. We appreciate the feedback, Brandon! Water ford is amazing. I've never lived somewhere so nice and ready to help! And with it being so close to downtown you never have to worry about anything! We are happy to hear your review, Saraha! We are so thankful we found Waterford Village. It has exceeded all of our expectations. The grounds are lovely, the staff is friendly and helpful, and we love our apartment. Thank you for your feedback! You may always contact us regarding the (unreasonable) noise you may be hearing. Or, don't forget you can call the courtesy officer also for general disturbances for immediate assistance. We moved here 2 years ago and have loved it! I love the staff and the community feel. The grounds are beautiful. It’s very quiet given its location. Also, very accessible. We are very grateful for the review! Coming in new can be scary for everyone; your patience and acceptance is so appreciated! Been here 4 months and absolutely love it. The staff is wonderful and if I have any issues they are addressed immediately. Neighbors are great! I have enjoyed living at Waterford Village. The pool and fitness center are well maintained and maintenance requests for my apartment are promptly handled. I just moved into the complex and the property is so lovely! It is very quiet and relaxing to sit out on my patio. The maintenance team is great and the apartment was amazing when I moved in. Everything is nicely updated and the town home layout is fantastic. I am so glad I moved! Thank you for the review, Melinda! We will make sure to take a close look at the dumpster schedule; thank you for the suggestion! I like living in Waterford Village because of its location, its easy access to highways, its dog park features, and access to a basketball court and tennis court. Oh yea! Almost forgot about the pool, it’s fantastic. So happy to hear, Mary! Thank you! I like living here and would love if I could access sohe of the amenities better. They need to put in handicap ramps for sure. It's quiet here. Thank you for your review and grace! 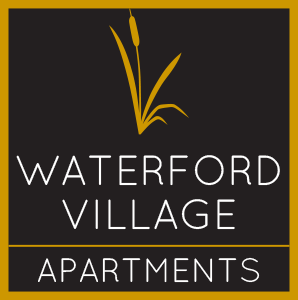 We will continue to strive to keep you happy to call Waterford Village "home". Love this place. The location is very centralized for everything in Knoxville. All the staff are friendly and helpful. We also love the salt water pool .